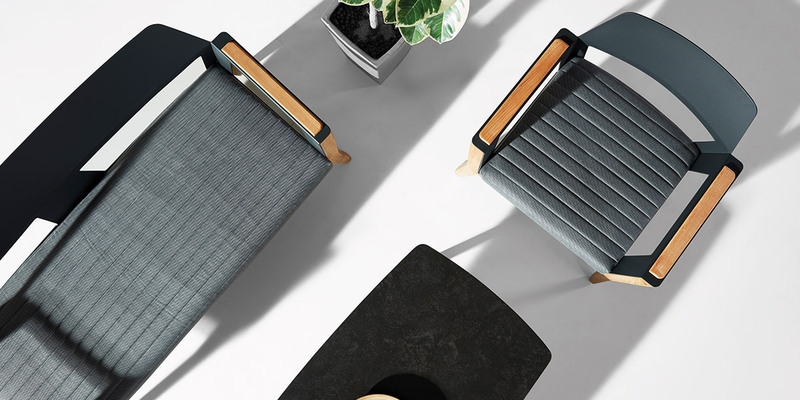 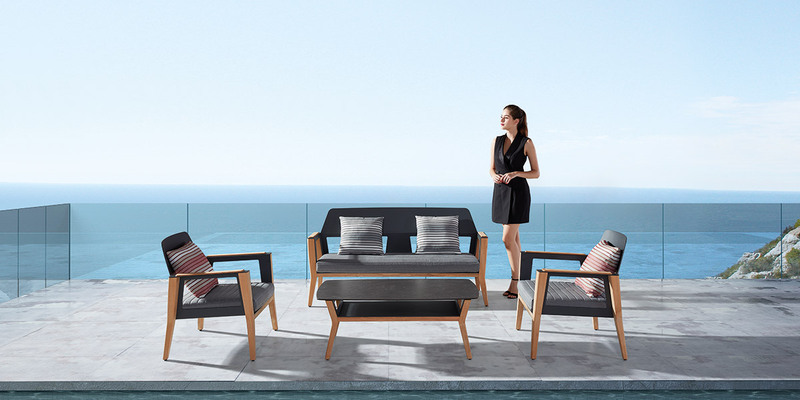 Nick developed the new `SHELDON´ collection with our team as a timeless design recommended for casual outdoor seating but also for comfortable, sophisticated indoor lounging. 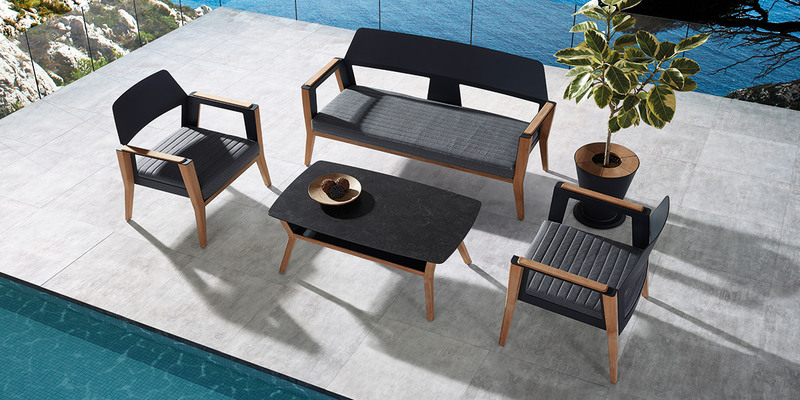 The solid wooden legs are giving this natural classic touch – embracing the comfortable aluminum seat with comfortable cushions. 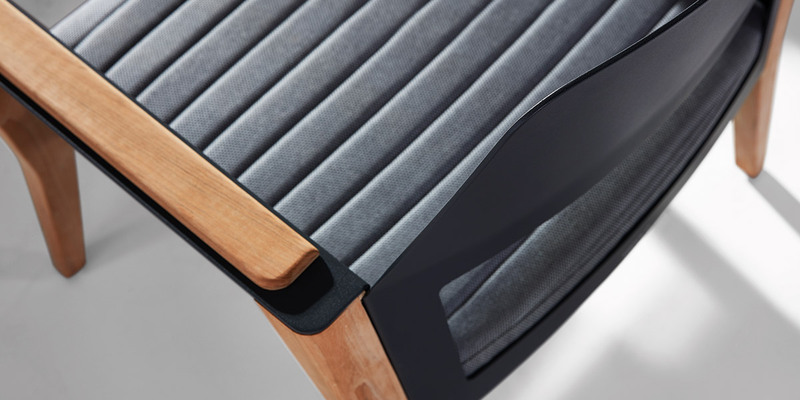 We offer various matching colors and textures for ´SHELDON´. 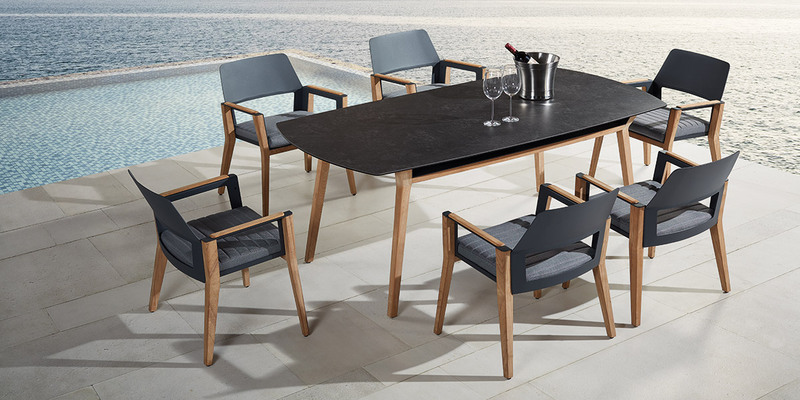 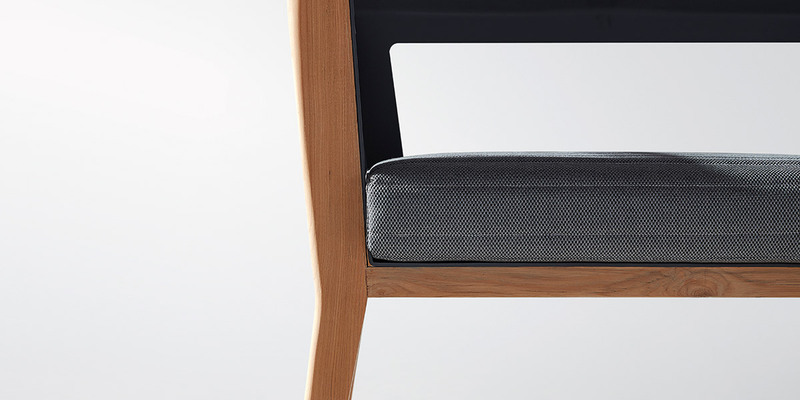 ´SHELDON´ with its transitional wooden and metal structures will match perfectly in the young, contemporary private home as well as in any stylish commercial environment – enjoy the fresh ´SHELDON´ look by Nicolas Thomkins for HIGOLD.